Manuel Serifo Nhamadjo is the interim president of Guinea-Bissau following an April 2012 military coup. Manuel Serifo Nhamadjo, a former parliamentary speaker, heads a transitional government, formed in the wake of a coup in April 2012. The European Union has said it does not recognise the administration, which it says appears to be under the control of the military. Soldiers ousted the government of interim president Raimundo Pereira, ending an election process in which a former prime minister, Carlos Gomes Junior, was the favourite to win. 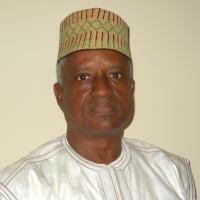 Mr Nhamadjo was a candidate in the poll but had been eliminated from a planned run-off. Mr Pereira and Mr Gomes were arrested and subsequently left the country. The interim president appointed former finance minister Rui Duarte Barros as his prime minister in May, after coup leaders and political parties signed a deal on a transition period. Under the agreement, presidential and legislative elections should be held within a year. Talks on the deal did not include the participation of the former ruling PAIGC party. The soldiers who ousted the government cited the presence of Angolan troops - under a cooperation deal - as a reason for their coup. They said the Angolans were conspiring against the army. The Economic Community of West African States (ECOWAS) has deployed a force in Guinea-Bissau to "support the restoration of constitutional rule". Since independence, no Guinea-Bissau leader has served a full term in office.